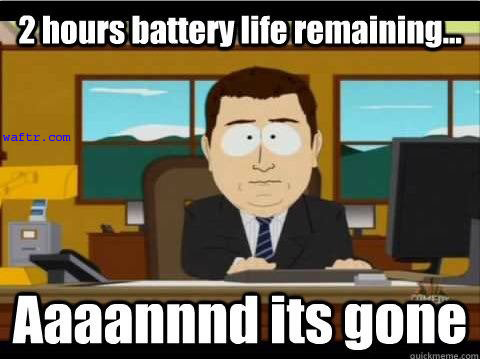 It's a well known fact that as the age of the lithium Laptop battery increases it's charging capacity decreases and it won't charge to it's full potential as when it's new. 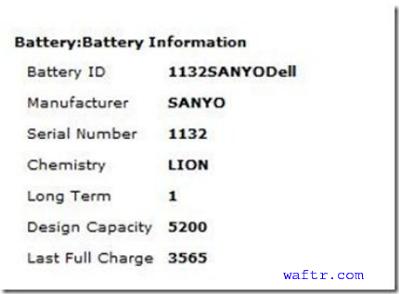 There is a way to find out exactly how much battery you are getting from your Laptop battery to your battery, the efficiency and maximum charge potential of a Laptop battery in Windows 7. 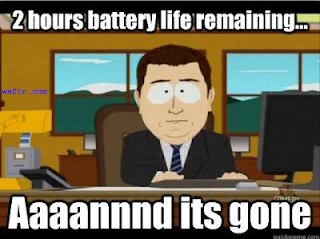 We can use powercfg -energy to find out how healthier your battery is. 1. Open command prompt by typing "cmd" in your start menu & open it with administrator privilege, as shown below in the picture. 2. 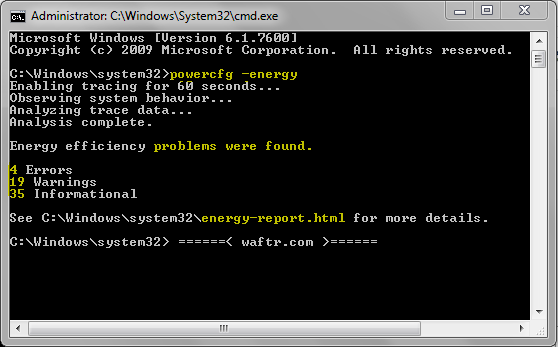 Type " power -energy " into the command prompt & press the enter button. 3. The command you enter enables tracing for 60 seconds & would collect all the data after observing your system behavior. 4. After the analysis, it will generate a report. 5. 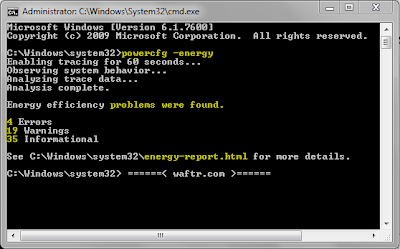 The energy report is generated in HTML format ( cmd prompt Address\energy-report.html)in the directory shown in the command prompt. 6. In the HTML file, scroll to the end until you get information like given below. This picture shows the battery ID, Manufacturer name, Serial Number, Chemistry, Long Term, Design capacity and last full charge.